Joining Style Collective was something I did last year. My friend Jen, from Charm in the Mundane, suggested that I join Style Collective as a way to learn more about blogging. I took her up on the idea and that night I signed up for Style Collective! There are plenty of platforms to join as a blogger or influencer. Nowadays, the platforms created for the blogging industry are overpriced and not worthwhile. Style Collective has offered me a lot in return. I am able to interact with other influencers on the main Facebook page. Engaging with members of the Facebook page for Style Collective has been a great asset to my blog, too. It has driven more traffic to my blog posts and I've seen an increase in the number of Instagram followers. Joining Style Collective has also given me more exposure on Instagram. I frequently use their hashtag "#scstylecollective" when they announce new style challenges for the month! This is another way to end up on their Instagram page for other SC Sisters to see you and hopefully give you a follow in return. The style challenges are a lot of fun to participate in, too! They are weekly challenges and they also give me a new way to style my outfits for my blog posts. The weekly themes inspire me to get creative. The SC Community is filled with girls who love getting to know each other and are interested in growing their social channels, too. It's great to connect with likeminded individuals who are passionate about the blogging industry. What Does Style Collective Offer? Once you join Style Collective, you create a username and password to log into your account. After you create your account, you can explore the various tabs on the site! The resources tab and the education tab are two of my most-visited. Under the resources tab, you can find so many wonderful tools to amp up your blogging career like I have! From discovering how to utilize media kit templates to improve your website with free stock photos, you can spend hours searching through these pages on their site. The resources tab also has rate calculators. If you do not know how much to charge for an Instagram post, Instagram story, Instagram video, blog post, simply use this tool to calculate your current "rates". It can be difficult to come up with your own numbers which is why Style Collective has this awesome calculator that I used to first establish my own rates. Under the education tab, you can view e-courses and learn more about how to develop your own niche as a blogger. The education tab also provides you with in-depth knowledge covering topics like how to work with brands, how to monetize your influence, and how to brand yourself! These are important tools that will take you further in your journey as a full-time blogger. These e-courses and guides are ONLY visible to Style Collective members, so be sure to CLICK HERE to join in on all of the helpful info you are missing right now! 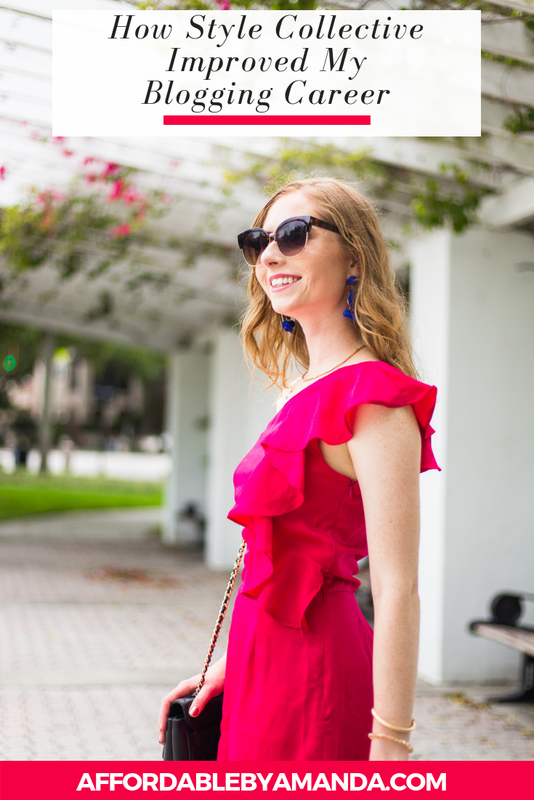 If you plan on taking your role as an influencer seriously, you should consider signing yourself up for Style Collective as a way to become a fearless girl boss in the blogging world.